Tina Shaburishvili's photographs are pared-down, colourless shot of her environment: the people in it and the things she sees. Living in the town of Tbilisi, Georgia, can be boring Shaburishvili says, but, "you can always find a joy if you try to, after all it’s my hometown and I love this place." Working for fashion magazine AMARTA gives her the chance to work on photo projects and express her creativity. Dazed Digital: How does living in Tbilisi affect you work? 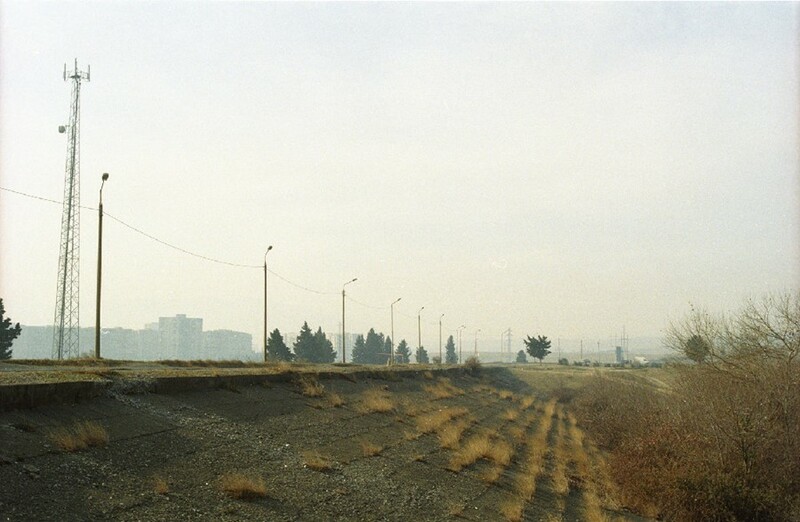 Tina Shaburishvili: Even the fact, that I was born in the post-Soviet Union state, where the clash between the modernity and the Post Soviet inheritance still occurs, makes my work pretty much special I guess. This space is complitely exceptional and I can still feel the different weather in my work. DD: How do you decide what to take pictures of? Tina Shaburishvili: I can't seperate my work from the everyday life I live...it's like my visual diary. I love my photographs but I think there are so many more in my mind that I haven't taken yet. DD: What is your latest project about and what are you doing next? Tina Shaburishvili: I have recently done the photo shooting series inspired by Jean Luc Godard Breathless’ and Pierrot Le Fou starring my friends (for AMARTA magazine/Georgia) I plan to shoot more photoseries of the films I love the most. Tina Shaburishvili: I don’t even know how to narrow down and concretize the stuff that inspires me. It comes from different space, form and content everyday.People in general inspires me a lot. Cinematography is very efficient subject of my inspiration, including shot,story,music,costumes,characters. Tina Shaburishvili: I was studying at the college of art, drawing/painting. I think I didn't draw well. Than I received a Zenit photocamera as a gift from my father to shoot the self-portraits, which I did at the begining, but soon I got bored and started to shoot other people. While developing the films I got to learn the technical side of the photo. Searching for the content of the photo is the constant process since my early days as a photographer until now. DD: What other photographers do you admire? Tina Shaburishvili: For now Gosha Rubchinky, Ryan McGinley, Glen Erler, Hedi Slimane... and my father with our family photo archive. DD: If you had one wish, what would you wish for?